When it comes to creating beautiful design in a space, one of the most important aspects of the design process is the finishing touch. A design tends to feel incomplete without the wall hangings, the accessories, or the accent furniture to bring it all together. As the brain child of interior designers who understand this need, GreysonPlace.com is your resource for unique and beautifully crafted high-end pieces that will make the final reveal of a room be that much more spectacular. 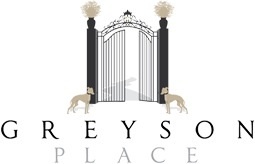 The Greyson Place blog is the only place to get updates on new products and to read up on the items you can find on the GreysonPlace.com. What can you expect? To start, you may find inspiration on a piece that just might be the missing element in your design or space. GreysonPlace.com strives to be the most reliable resource for both designers and people who are looking to add an extra something special to a space. As the design industry evolves and trends emerge and fade away, GreysonPlace.com adapts and is always adding to its library of products and designs for you to choose from.